The fire went out a year ago today. On May 20th 2013, Ray Manzarek, the iconic keyboardist of The Doors passed away. He had been battling bile duct cancer and unfortunately passed away at the age of 74, in Germany. Some 48 years earlier, he founded The Doors with Jim Morrison, having met the self-proclaimed “King of Orgasmic Rock” at UCLA, where he was studying cinematography. They decided to form a group and named it after Aldous Huxley’sThe Doors of Perception, which detailed the author’s experiences with mescaline. While Morrison would prove to be the primary lyrical force in the quartet, Manzarek would go on to – arguably – define their sound. His keyboard-playing gave the music some of its most instantly recognisable sounds, from the signature riff on ‘Light My Fire’ to the terrific solo on ‘Break on Through (To the Other Side)’ or the nuanced piano of ‘The Crystal Ship’. And impressively, all of these were just on the band’s first album. Manzarek’s life wasn’t just dedicated to The Doors, after their breakup in 1973, he carved out a solo career, collaborated with former bandmate Robert Krieger, wrote a number of books, became a farmer in California’s Napa Valley and directed the film Love Her Madly, on which Jim Morrison was credited for creating the story. However, despite all these ventures, Manzarek will always be synonymous with The Doors. And rightly so. His keys danced effortlessly between carnival theatrics and classical jazz stylings. Morrison gave the songs their face with his poetic crooning, while Manzarek gave them a pulse with his idiosyncratic playing. 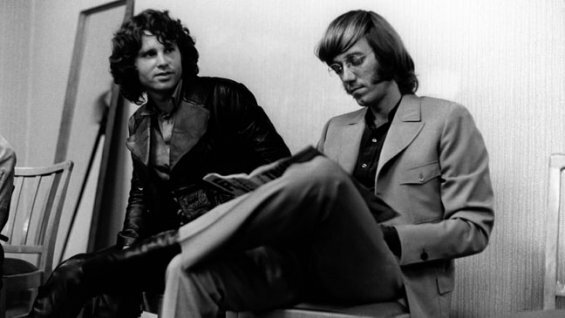 Posted in rantTagged California, Jim Morrison, Love her madly, Ray Manzarek, The DoorsBookmark the permalink.